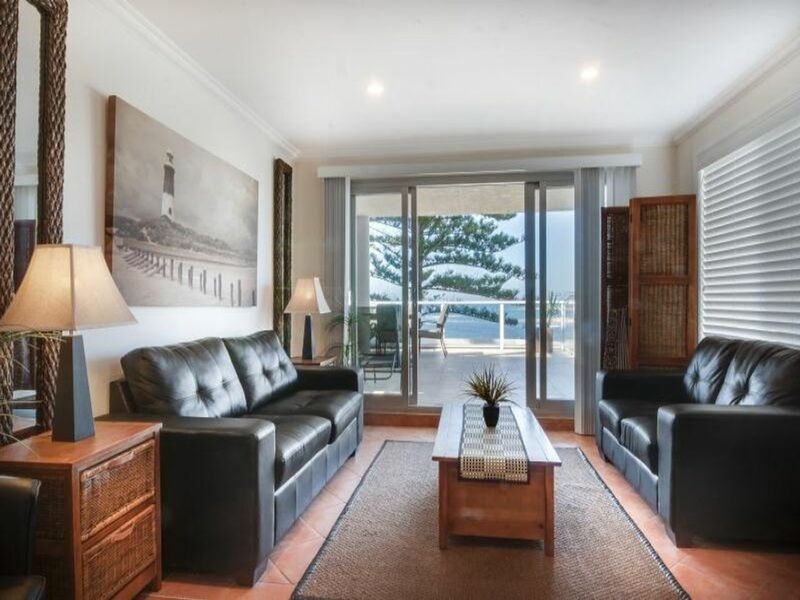 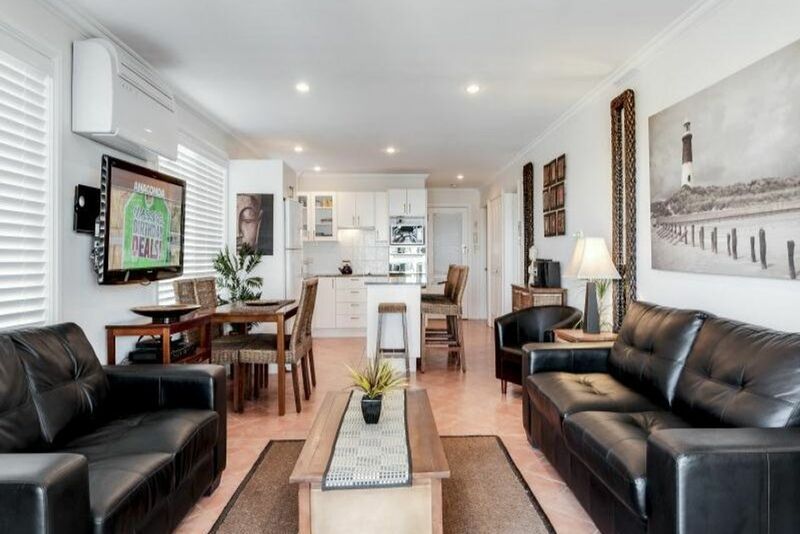 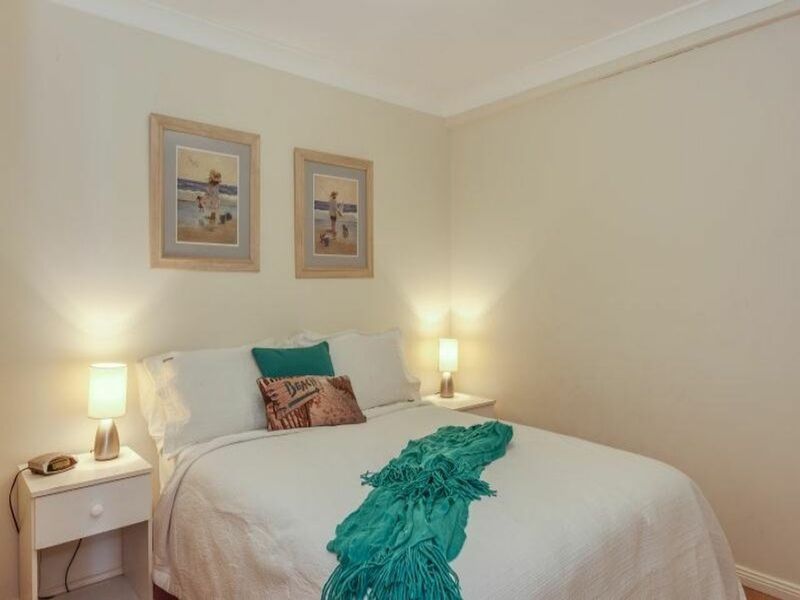 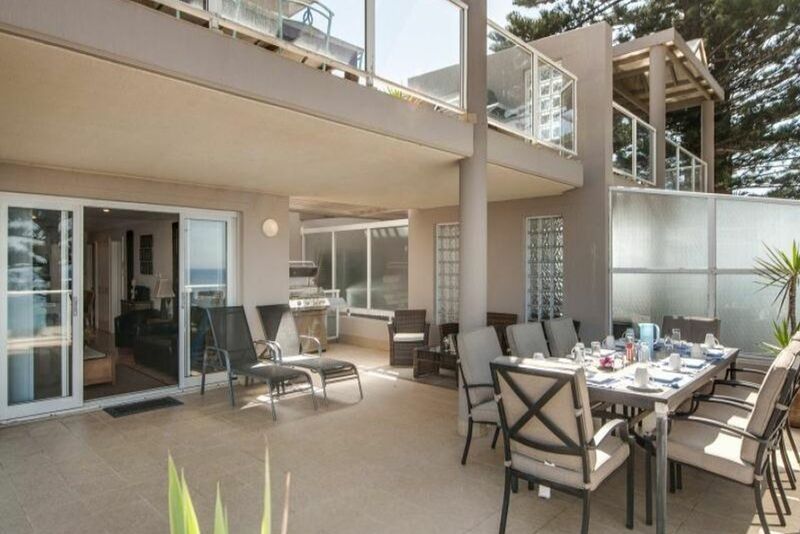 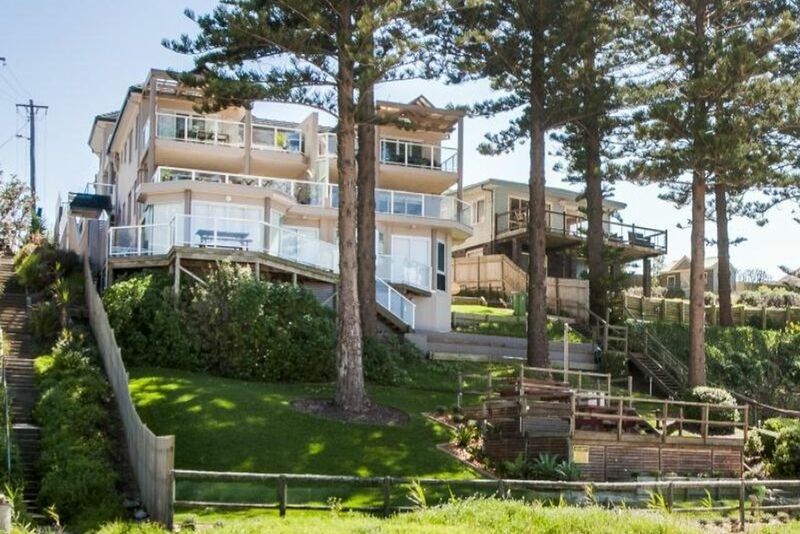 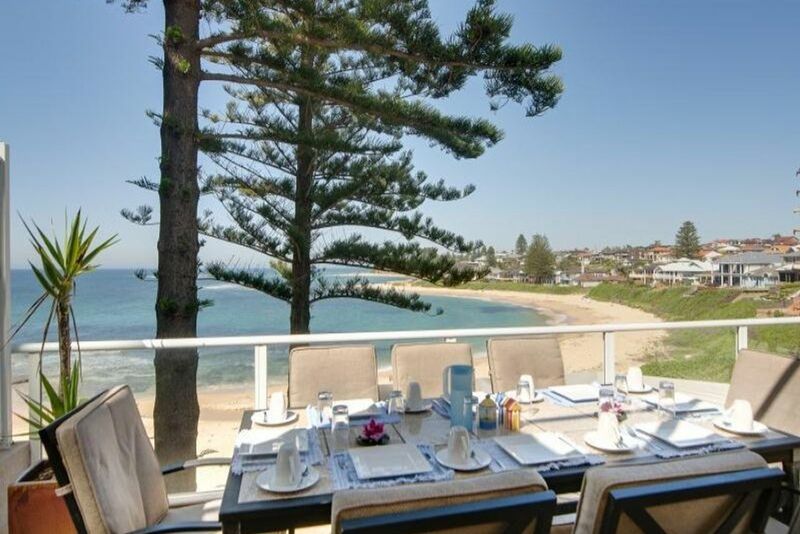 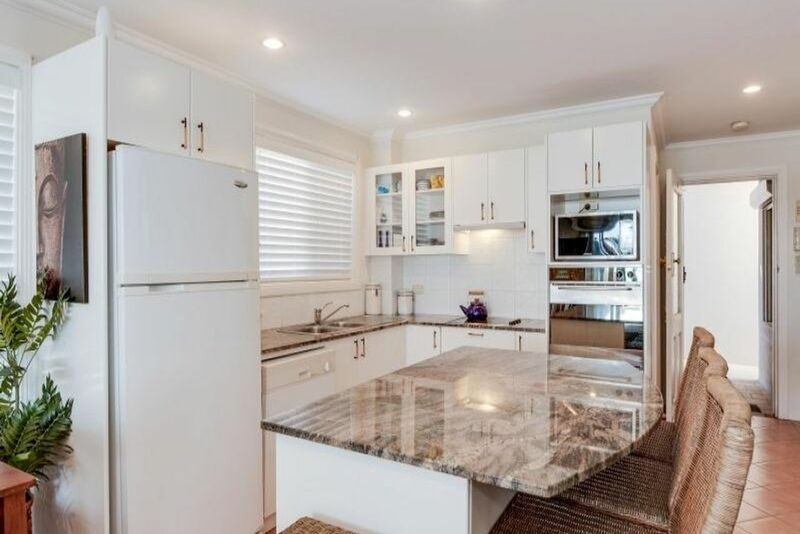 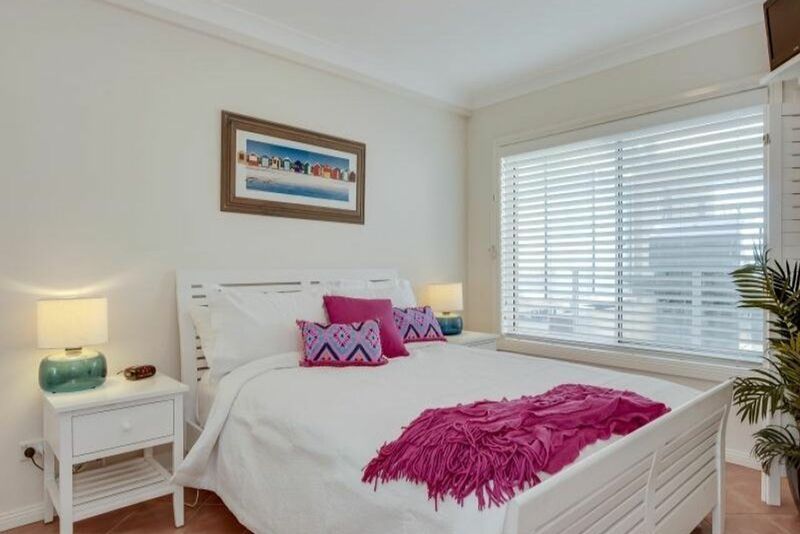 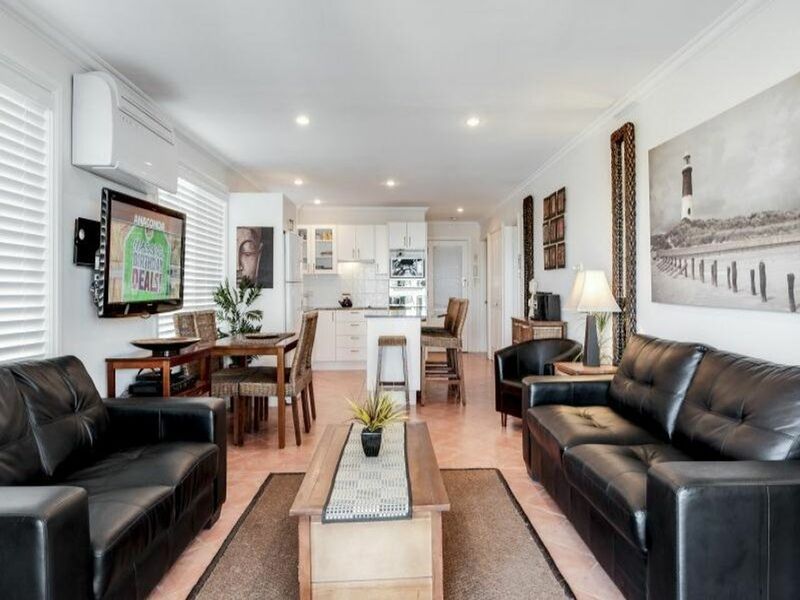 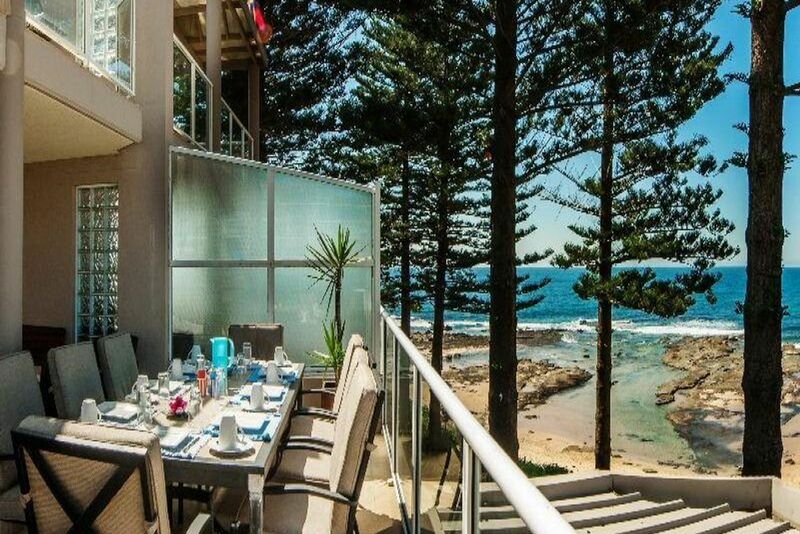 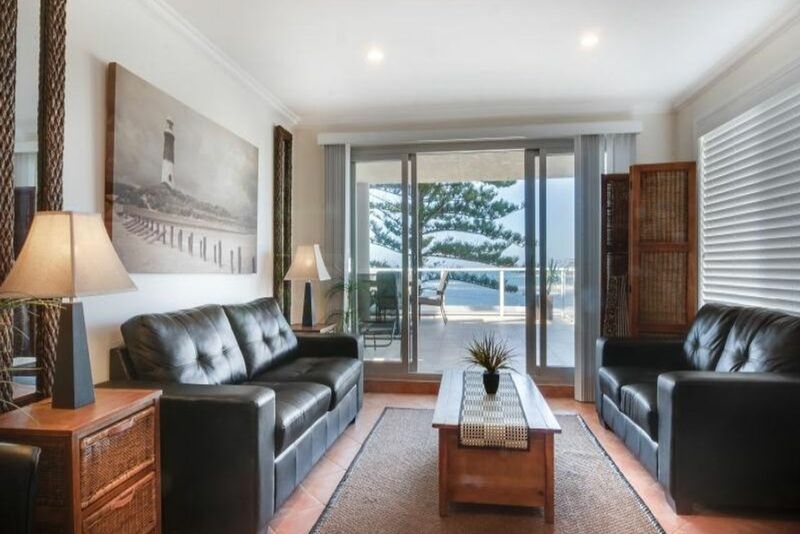 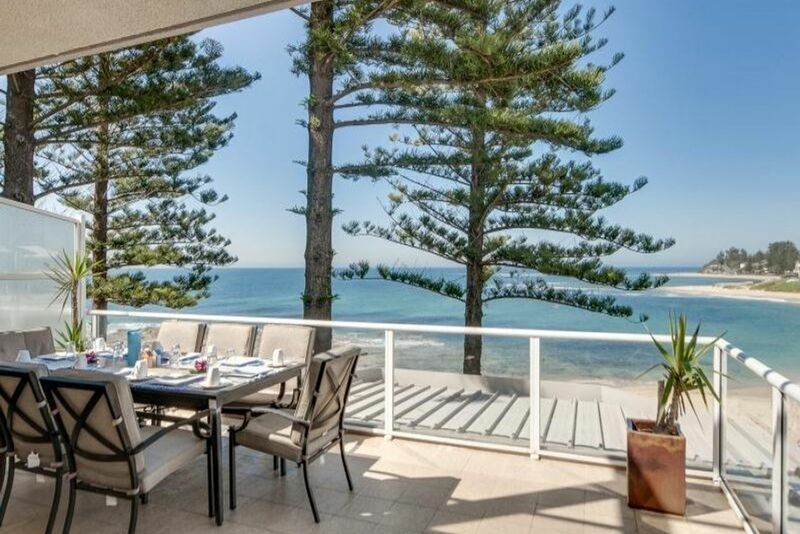 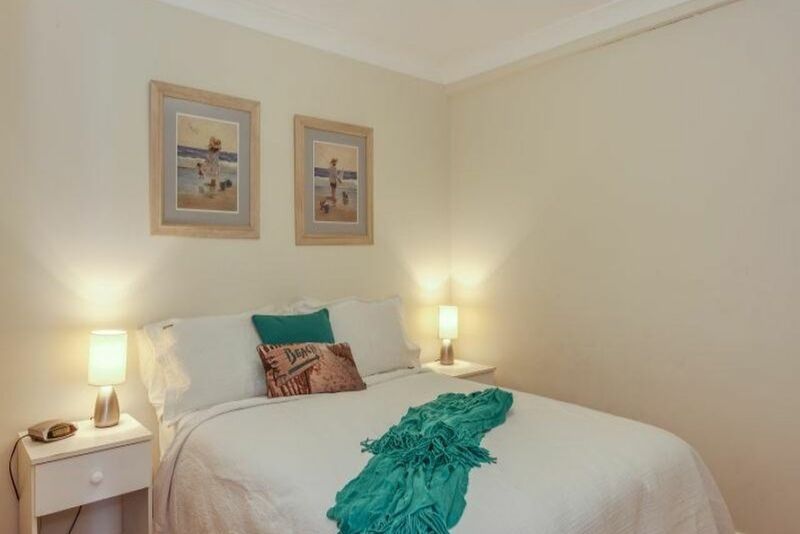 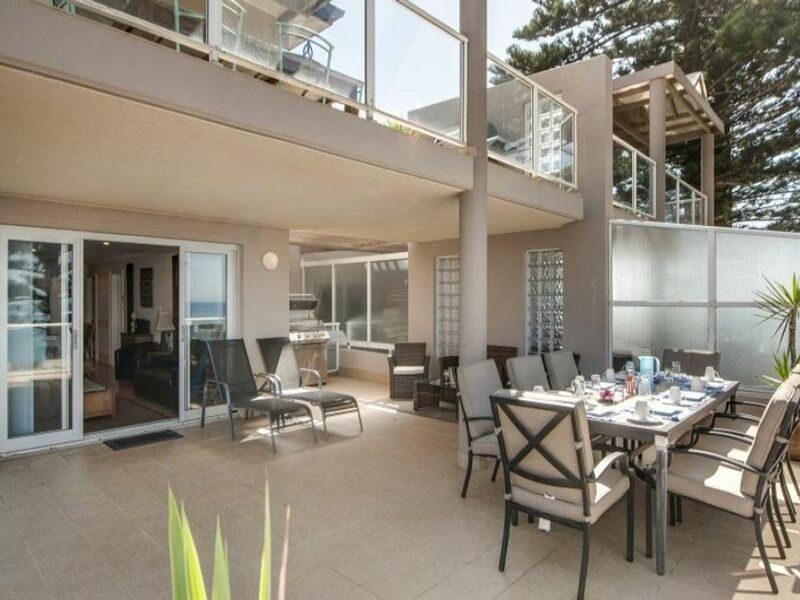 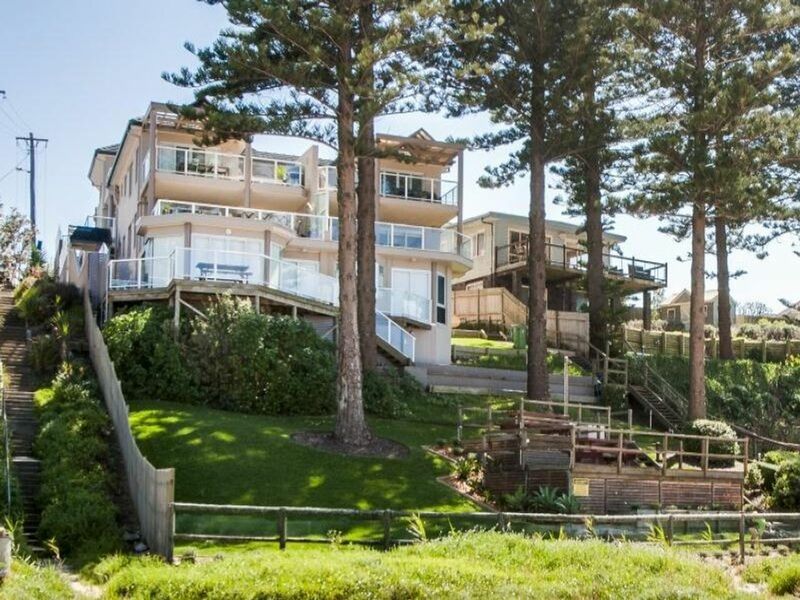 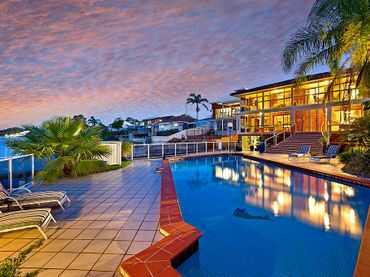 Stunning beachfront apartment in the popular Ocean Pines apartments. 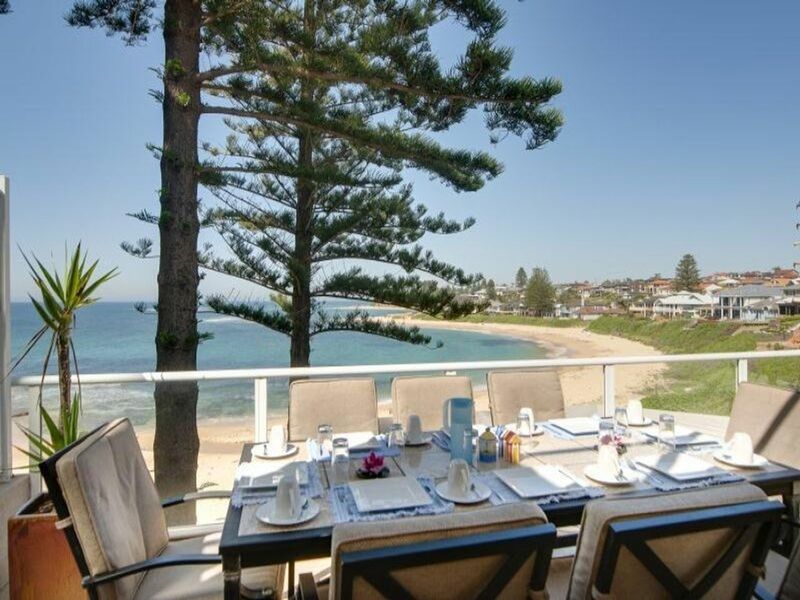 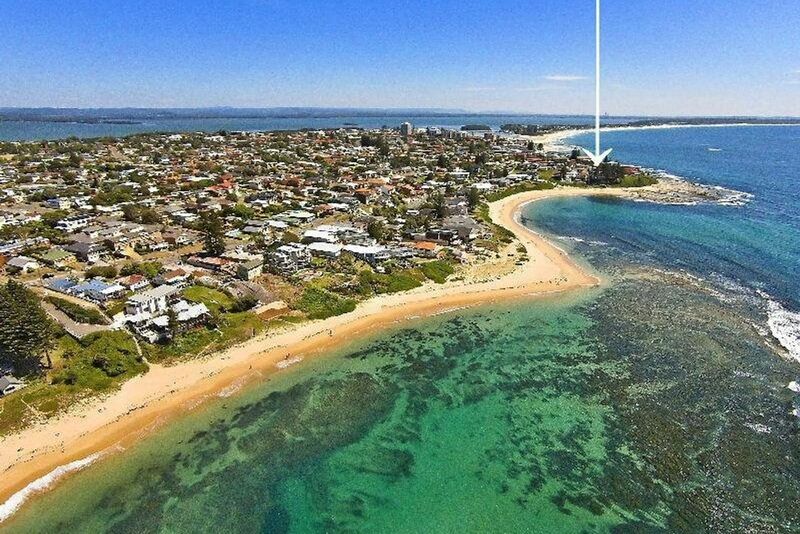 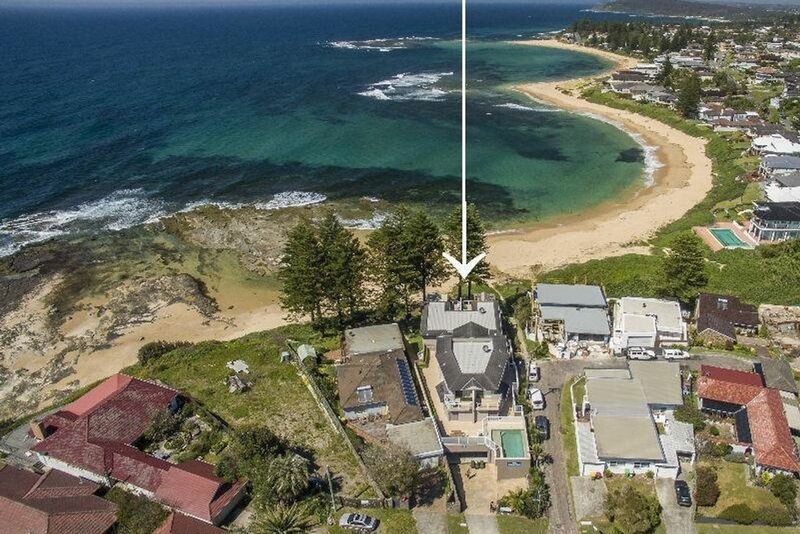 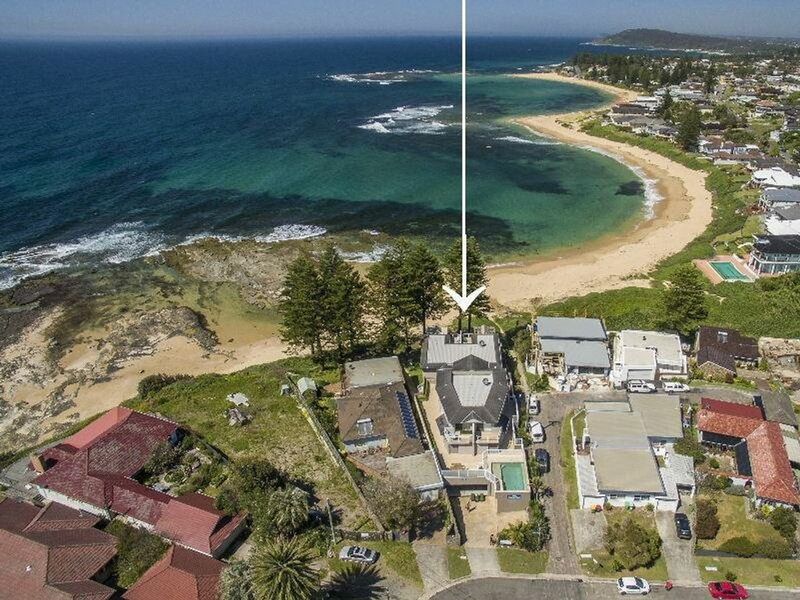 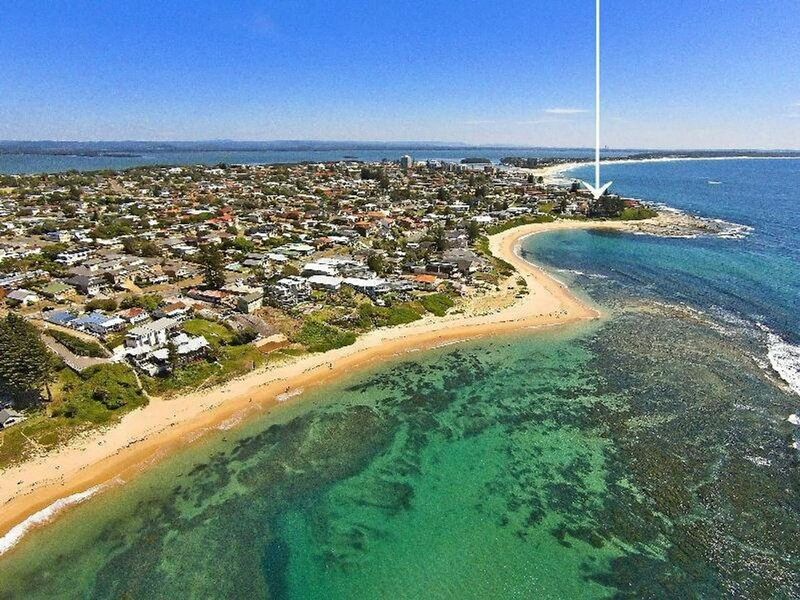 * Breathtaking views across Blue Bay and Toowoon Bay beach. 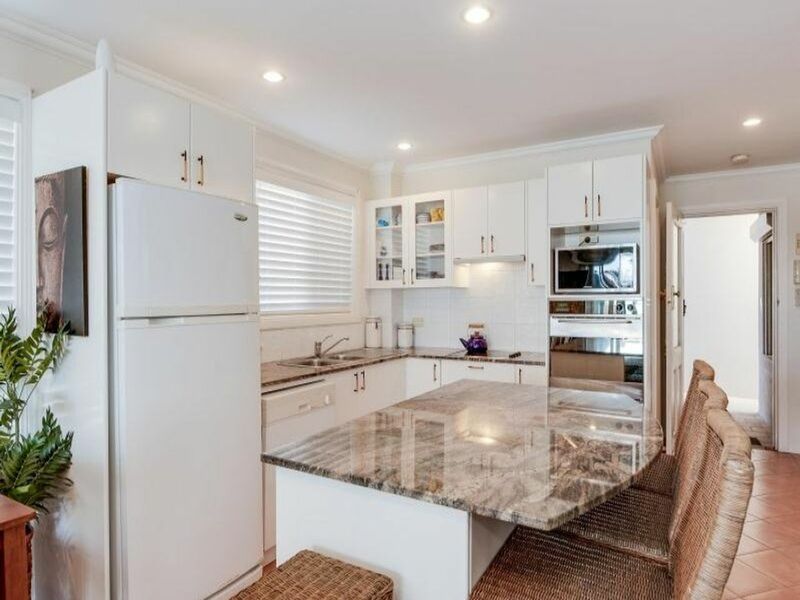 * Tiled throughout apartment, air conditioning and security intercom system. 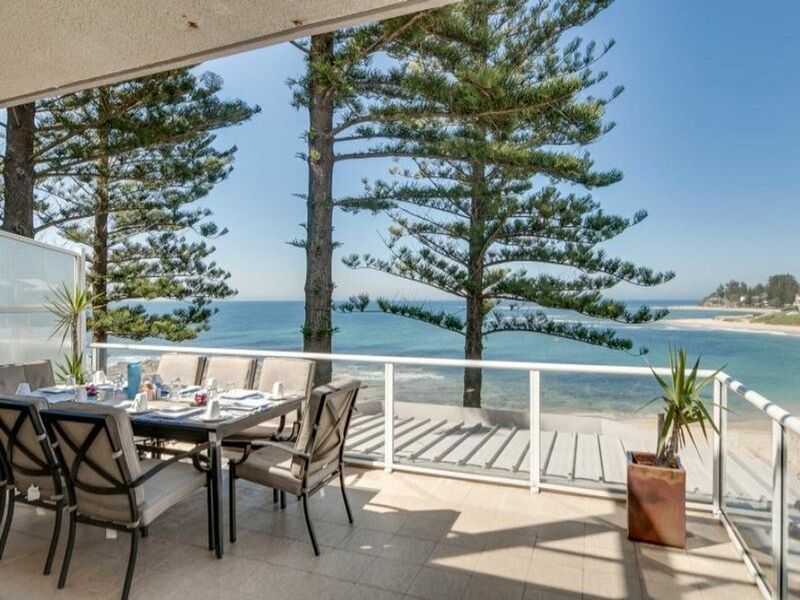 * Direct private access to the sands of Blue Bay beach. 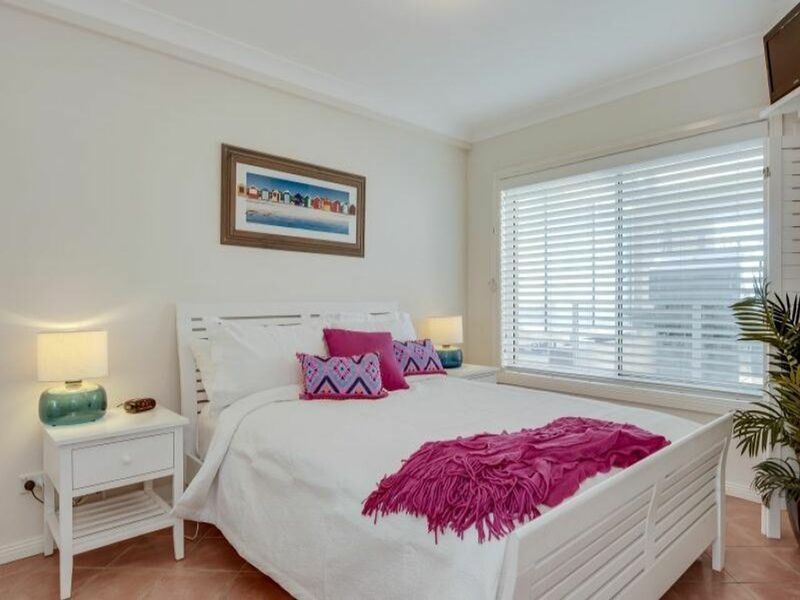 * Rise with the sun and ocean views from the master bedroom. 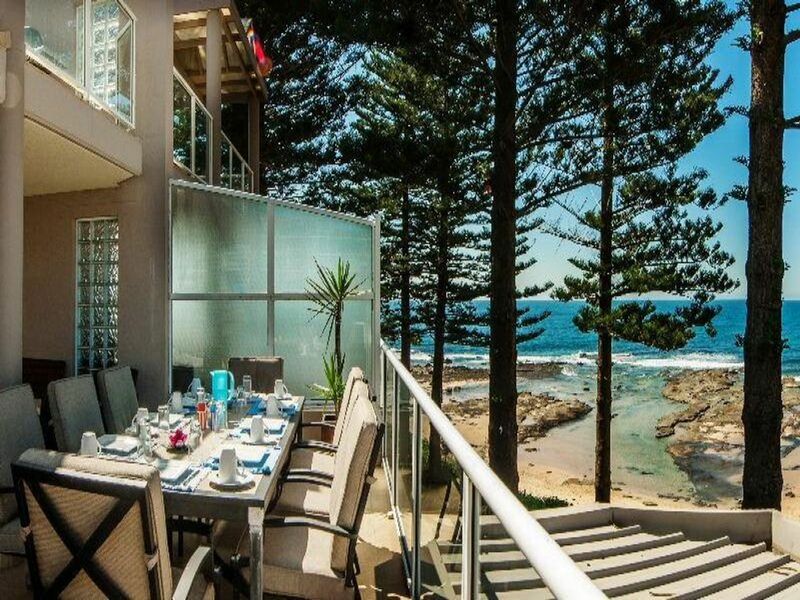 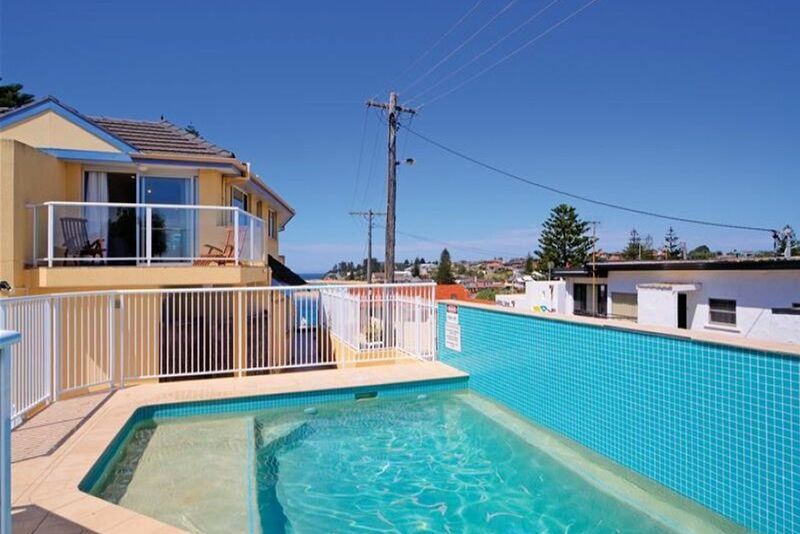 * Large balcony overlooking the beautiful Blue Bay Beach. 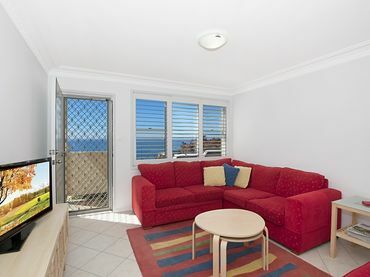 * Single level access with no stairs to the apartment. 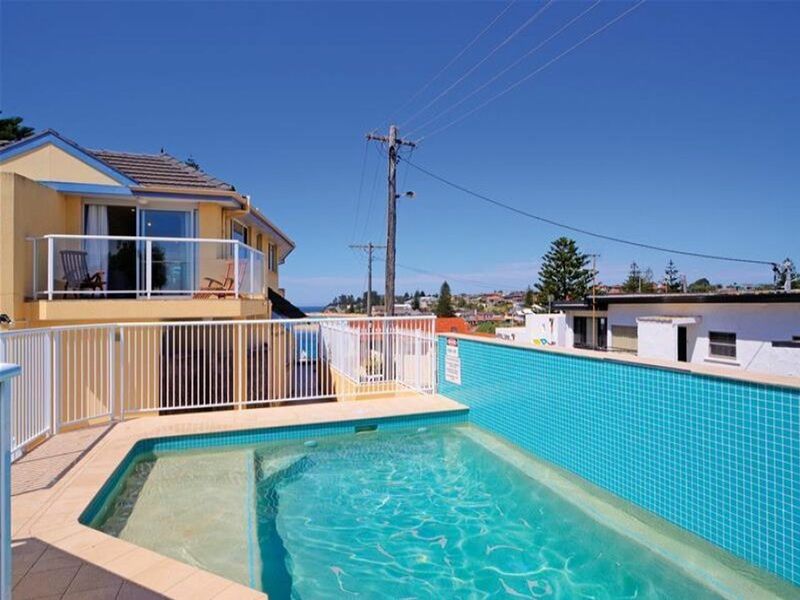 * Complex has a swimming pool, entertaining area, outdoor shower.